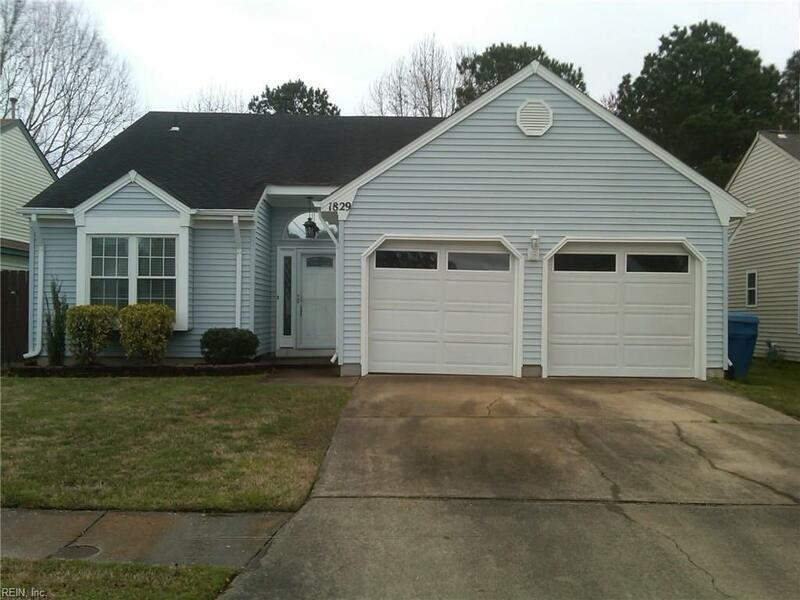 1829 Wandsworth Dr, Virginia Beach, VA 23454 (#10246674) :: Abbitt Realty Co.
Picture perfect starter Ranch with huge 2 car garage! Newer HVAC + full appliance package. Resurfaced Kitchen cabinets, new interior doors, and hall bath fixtures. Freshly painted; new window treatments convey, including skylight blinds! Dramatic cathedral ceilings in Great Room and Master Bedroom; all popcorn ceilings have been scraped and painted. Glass tile enclosure makes a perfect green space. New fully fenced huge back yard with deck is great for entertaining. Chimney is capped; fireplace conveys as/is. Walk to shopping; convenient to bases, beaches, and golf! Not in a flood zone!